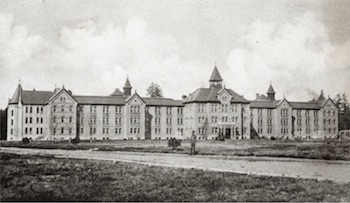 The Washington State Department of Social and Health Services (DSHS) will pay $900,000 to the estate of an elderly woman who was neglected and abused as a psychiatric patient at Western State Hospital. The Tacoma News Tribune details the case of the 74-year-old woman who suffered injuries from falls and assault at the facility, and didn't get the appropriate medical attention. The lawsuit alleged that the woman came to Western State in February 2013 and left in April 2015. She died a year later. The lawsuit claims that the poor treatment she received led to her death. Congestive heart failure, aortic stenosis, atrial fibrillation and bipolar disease were found to have contributed to the woman’s death. During her time at Western State, the family says the elderly woman broke her arm, her hip, suffered a head injury and suffered bruises and cuts from falls and assaults by other patients.